Baron Fig Computerworld Vanguard — the weekly pencil. It's not often I audibly gasp when I get an email from Baron Fig about their latest offering. Never have I thought that a notebook could embody all of the things I love in this world. Bright colors, whimsical artwork reminiscent of the early nineties, and geek culture. Computerworld offers all of these things and much more. First, let's talk about the concept itself. Computerworld is a Baron Fig collaboration with Codeacademy, a company that offers a unique, online technical learning experience for those that want to learn to code. The Computerworld Vanguards are designed with the coder in mind-- pages are "code ruled" and have numbered rules and bullets which are perfect for writing lines of code or lists. 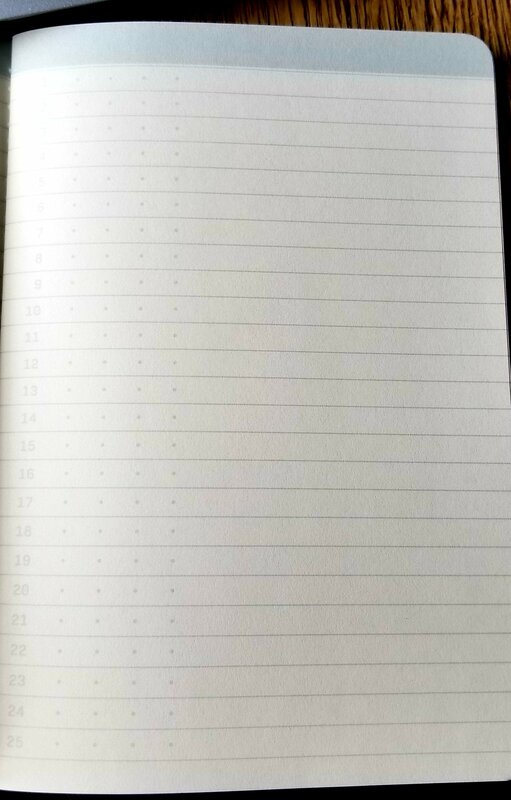 The first thing that came to mind when I flipped through the pages was that these could serve as a good framework for a bullet journal. 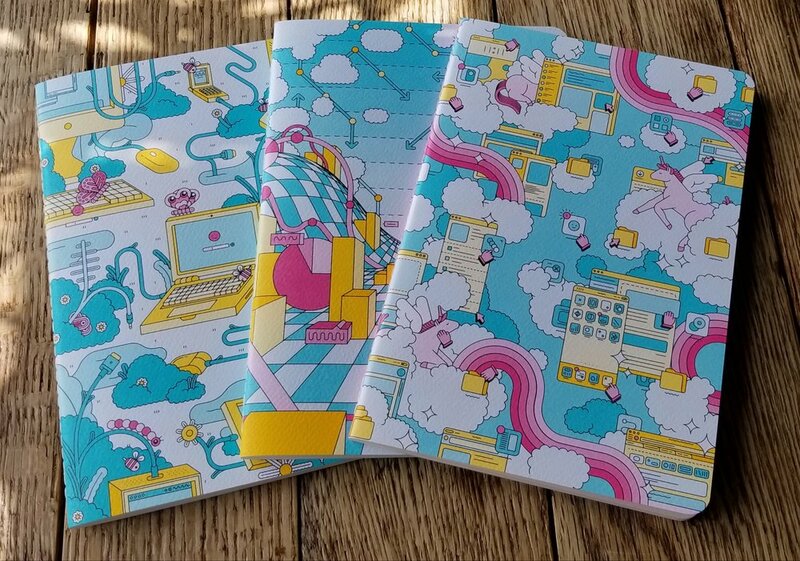 Each notebook in the collection in the series has a different cover design and the artwork is an imagined representation of what the three main parts of technology-- hardware, software, and data-- would look like. Baron Fig always goes all in on theme and design, so this Vanguard edition is seeping with subtle references to technology. The box for this set is also great with a cover that shows all three themes weaved together. There is a really cool sticker sheet that comes in the box as well as a pamphlet that talks a bit about the current theme. The more I stare at the different covers of the books, the more I see. I guess that's what I like so much about this edition aside from it's unique inside page design-- the covers make me happy. One can escape into a fantastical world of technology where unicorns abound, and really, what's better than that?